18th Anniversary of Digimon Tamers! Thread: 18th Anniversary of Digimon Tamers! It's the 18th Anniversary of Digimon Tamers! Digimon Tamers premiered on April 1st, 2001. Tamers was the first time time the anime tried a new universe, and mixed in concepts we saw in the franchise previously with some more sci-fi elements. Fans of Tamers have always liked that slightly different feel the series had, largely brought to the table by Chiaka Konaka, and were very pleased when the show not only got a Blu-ray box last year, but a new story with it written by Konaka! In recent years, on top of that Blu-ray box and audio drama, Tamers has gotten a number of figures (with a new GEM of Beelzebumon & Behemoth coming soon), a few anniversary D-Ark releases, plus some featured facetime in recent V-Pet releases. Tamers fans will likely have many thoughts about the series to share. We did a breakdown of the Digimon Tamers BD-Box last year, along with a translation (with additional translated details) of the audio drama. The Digimon Tamers Blu-ray Box is still available to order. Be aware many stores are actively advertising that the first print version is sold out. The first link is a CDJapan affiliate link that helps the site. 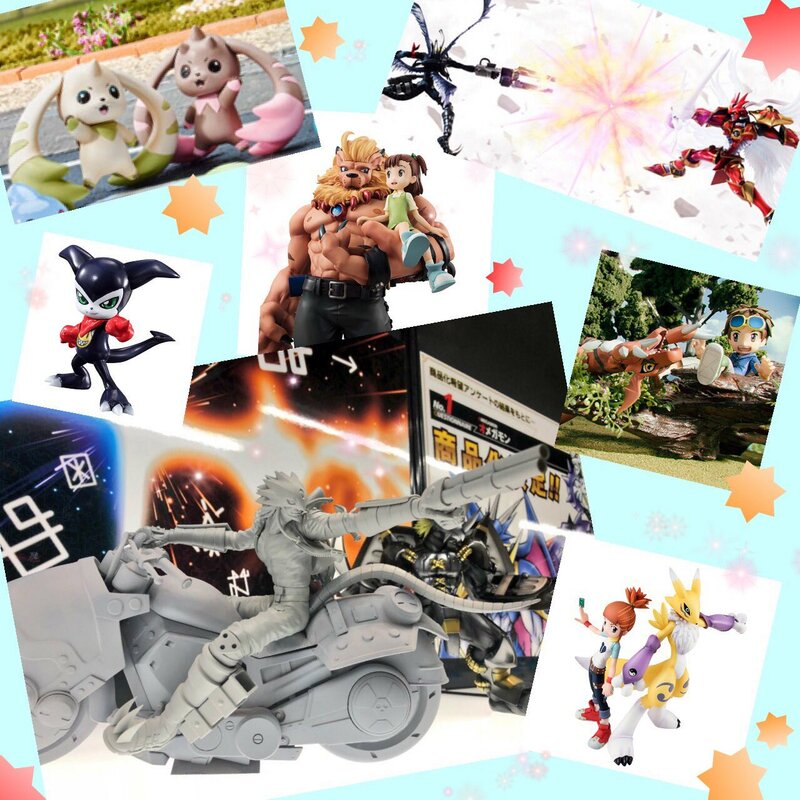 An image Megahouse shared of a number of the figures they've done with characters featured in Tamers! My beloved series... Thanks for the reminder! And for the link back to the Blu-Ray box thread and the audio drama script. I read it for the first time. While chaotic, it did convey much of the feeling that the original series gave me. I also deeply appreciate the fact that the creator was willing to make a sequel. Not sure that having an even more powerful unlimited kind of enemy would be the right path to take, but then again it could only be the beginning of the sequel and not the focus of an entire anime series or film. I love the focus on how things change in the future, on a personal level, and on a technological level, lots of interesting stuff there. I guess my main issue with the original series and the cd drama is that they tend to rely on basic concepts and mere technology as a basis and explanation for phenomena that clearly exceed the very parameters of the theories suggested. It's super clunky, and for a series with a pretty serious tone, it only feels that much worse as a result. I guess the low points for me would be the Devas that were consuming electrical devices to grow stronger and more stable, or how casually the technology of the D-Ark, the realization chamber and the cards was used. Or how they discovered that the entire existence of a digimon in the real world is made of a single protein (or something to a similar effect). I think that less of an emphasis on the scientific basis, and more light shed on the cosmogenic/mythological/magical aspect of things would be a must for any potential follow up. Overall this remains my favorite digimon series in terms of tone, designs, art style, narrative structure, and the strong and expanded-upon relationships and dynamics among the characters. It took all the best bits that Digimon Adventure and Digimon Adventure 02 had in my opinion and built upon them. edit: I remember that, as a kid, I used to get chills every time an evolution sequence initiated. It looked and sounded so ominous and important. I'd like to see that again in a digimon series sometime: a level of substantial impact of the event of digivolution itself. I also remember how bittersweet the ending was, I was in tears. And how adorable the scene in the playground was where Takato and Guilmon were talking about how they had grown and were reminiscing about the "Takatomon" moment. Amazing. Finally, how cool was the setting of kids going out at night to fight monsters in the fog, eh? I maintain that a Digimon Tamers augmented reality PokemonGo-style smartphone game based on that concept would be epic. Last edited by Grimmon; 04-01-2019 at 03:42 AM. Man 18 years, it goes by quick. 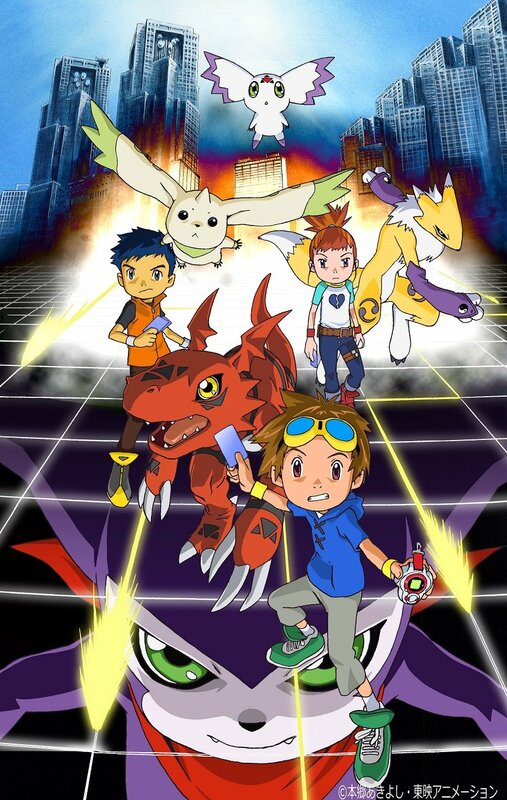 This was and is my favorite Digimon series. Coming from Adventure 02 it was noticeably more "mature", and the Saban dub even reflected that despite being on Fox Kids (in the US). In retrospect, Konaka's signature style is evident throughout and gave the series a lot of character. I loved the focus on a handful of characters instead of a large cast, I think it gave a lot more time flesh them out and make more meaningful arcs. Beelzemon's fall and redemption story is still my all time favorite. Matrix evolution was a great way to have the kids be more involved with the endgame, as well as increase the stakes. The bittersweet ending was a fantastic way to wrap the series up. I would love an anniversary project in the Tamers universe, but only if Konaka is involved! Tamers made a lot of smart decisions by not mixing up too much of the core formula, for which I'll always be grateful. Tonally it's all over the place, but the final D-Reaper payoff does an incredibly good job of consolidating all of the various plots and themes (unlike 02). I'm never sure where I rank it in the core 3, but that's a compliment. I am hoping for some special for the show, with the season 3 class. I am hoping Jeri gets Leomon, or at least the rookie form, Elecmon back in the show. It is a really fun series. Not going to talk about one character a friend talked about but I really like the D-ARCs. Since they're what I based my fanmade Digivices off of. Someone I used to know really loved it when Impmon evo'd.